It’s nearly impossible to keep up with the latest learning research, technologies and trends. Yet that’s what ultimately makes this field stimulating. If we don’t maintain and sustain a continually disruptive state, how can we change and grow? 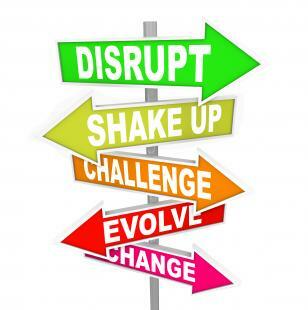 In the coming year, I resolve to disrupt myself. I resolve to seek innovation, try new ideas, embrace change and stay actively and continuously learning. Most experienced designers have had it with information dumps passing as learning. And certainly most learners are fed up with it, too. It’s time to find alternative strategies, such as providing performance support, creating personal learning networks and supporting initiatives that are learner-driven. In the coming year, I resolve to help clients understand that learning is a social act, that it takes time, that it must be applied to the real world and that extensive information dumps have no place in the learning experience. To prepare for the coming mobile revolution, we need to focus on better understanding the mobile user experience. We need to apply this knowledge to responsive design and mobile/web technologies. When we have a firm grip on this, we’ll be in a better position to offer successful mobile strategies. In the coming year, I resolve to spend more time experimenting with mobile technologies, passing on this knowledge to the community and applying this knowledge in my projects.